The refugee crisis has affected millions of people across the world. Families have left behind their homes, loved ones and livelihoods in the search of safety and a better life. But, there are significant barriers that stand in the way of refugees when it comes to employment. Today marks the start of Refugee Week, a collection of events and programmes revolving around World Refugee Day on the 20th of June. Its purpose is to raise awareness of the situations refugees face around the world. 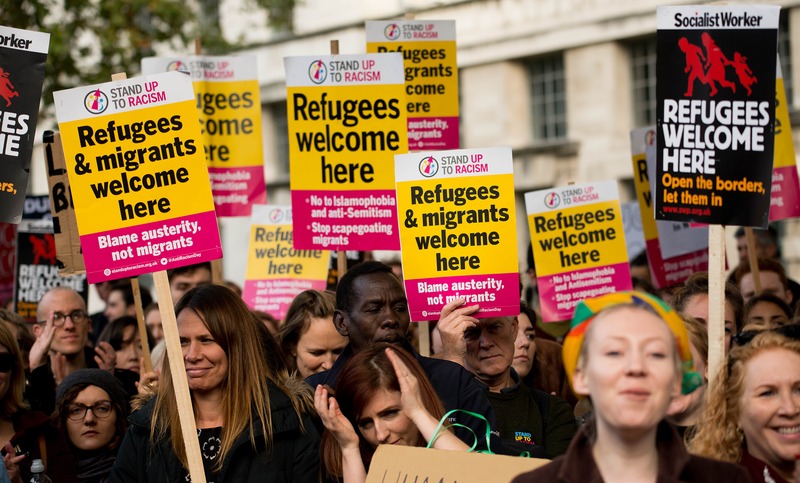 In the UK, Refugee Week is a nationwide programme of arts, cultural and educational events that celebrate the contribution of refugees to the UK, and encourages a better understanding between communities. Supporting disadvantaged groups in finding meaningful work is a core focus of the RG Foundation. We wanted to better understand some of the challenges that refugees face when entering the job market, and tell the stories of some inspirational organisations that are already providing support in this space. There are roughly 65 million displaced people globally. 55% of the world's refugees come from just 3 countries: Syria, Afghanistan and South Sudan. These are the highest levels of global displacement on record. In the UK as of 2015, there were 117,234 refugees. with 37,829 pending asylum cases. Whilst considered an "asylum seeker" a person cannot legally work or claim benefits. They may be entitled to asylum support of around £5.28 per day. The process of claiming asylum in the UK involves screening, interviews, visa application and the submission of various documentation. The British government advises that decisions are usually reached within a period of 6 months but cases can remain unresolved for years. The experience for many is utterly overwhelming as they find themselves in a totally alien environment, culture and language with the added pressure to secure food, accommodation, and stable work. If and when refugee status is granted, a person can legally begin working in the UK. However, there are many barriers to entry which make finding work difficult and very often refugees with high levels of education or skills end up working in jobs that don't match their experience. Breaking Barriers offers various different programmes as support mechanisms for refugees that are looking for work and since 2015 they have supported roughly 600 refugees in getting "meaningful, sustained" employment. At their shared workspace in East London, Breaking Barriers’ founder and CEO Matthew Powell told us that if they (and organisations like them) didn't exist, then “the employment outcomes for refugees would worsen”. Employment, he says, is key to integrating refugees into society. Without it, Matthew warns more people would be marginalised. The team at Breaking Barriers work with their clients to achieve both short-term and long-term goals, which are tailored to each individual’s experience and needs. By piecing together elements of their service Breaking Barriers are able to help their clients achieve both short and long-term goals. "It might be that your short-term goal is to become financially independent, your long-term goal is you want to re-qualify to become a lawyer again." A perfect example of this model working in action is when a human rights lawyer from Sudan got in touch shortly after gaining refugee status. She was struggling with the pressure to find private rented accommodation and secure work. Her long term ambition was to become a lawyer again, but the Breaking Barriers team first secured her a short-term placement in an Arabic speaking customer services role at Booking.com. That role earnt her enough money to get her own studio flat and stand on her own feet again. 9 months later she decided that she was ready to pursue her long-term ambition and through a partnership with law firm Misshcon De Reya, Breaking Barriers were able to get her a paid placement which turned into a full-time role. She's still working with the company 2 years later and has since become a real ambassador for Breaking Barriers, supporting other women once they gain refugee status. Matthew sees the business community as playing a crucial role in providing employment solutions to the Refugee Crisis. By approaching the situation from a "triple win" perspective, he and his growing, London based team of 16 have built relationships with some of the biggest global brands including IKEA, Bank of America, and WeWork. Another challenge arises when trying to match the skills possessed by refugees with appropriate vacancies. Refugees with advanced degrees and valuable skills still face high levels of unemployment or underemployment worldwide. 2) A shortage in language skills from British citizens. Research for the Department of Business, Innovation, and Skills (BIS) suggests that deficient language skills in the UK cost the economy roughly £48bn a year. Chatterbox sees this as an opportunity for displaced people who can use their native language as a skill. Through the Chatterbox initiative, they can find meaningful employment opportunities that pay decent wages above the National Living Wage. But it's not just languages where refugees can fill a skills shortage gap. The British engineering industry is seeing an unprecedented skills shortage, with many looking at the education system and a lack of interest in STEM (science, technology, engineering, and maths) career paths as a potential root cause. London-based social enterprise Transitions specialises in working with refugees who have engineering and professional services qualifications. Like Breaking Barriers, they partner with employers who understand the value in recruiting a diverse workforce based on experience and skills. Sheila Heard, Founder and Managing Director of Transitions has spent years working with the refugee community and understands more than most some the challenges faced by people trying to settle in the UK. Whilst Transitions also tailor their services for each individual client, their main focus is on matching candidates with engineering vacancies. They have plenty of success stories and Transitions are able to manage their business sustainably building a solid reputation of quality, high retention placements through their programmes. Our conversation soon turns to some of Sheila’s frustrations with the current system and policies regarding the treatment of refugees. Despite there being little government action or refugees even being mentioned in the Equalities Act, Sheila is constantly reminded of people’s strength and endurance when faced with incredible adversity. Finding meaningful employment for refugees is an issue that isn't likely to go away anytime soon. As pointed out by Matthew, many of the challenges refugees face in the UK when trying to find work are shared by other marginalised groups, too. Integrating into a new society through employment has become tougher in recent years, largely due to a lack of resources. The good news is however, that there are organisations and people dedicated to improving this situation, as we’ve seen here. The key seems to be taking the time to work with each refugee candidate on an individual basis. Hear their story, understand their needs and then look to deliver a service tailored to them as a long-term solution. And more so than ever this issue relies on the input and demand from forward-thinking businesses and individuals that not only have positions to fill in their organisations but also want to create a truly diverse and inclusive working culture. Watch the full interview with Matthew Powell of Breaking Barriers on our YouTube Channel here.